How adorable is this Baker's Necklace from Luxe Adornments? I love that it has the measurements on the spoons, and that the pan is a little discolored (from all that baking!). What a great present this would make for the gal in your life who always whips up those impeccable brownies/cupcakes/cookies that you know you can't live without. 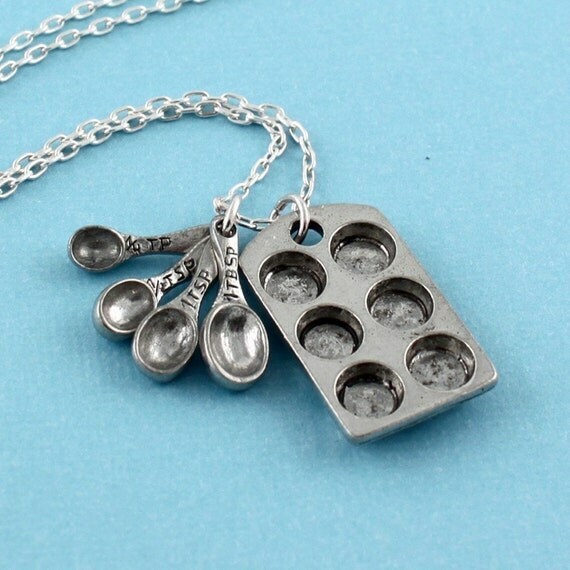 You think Bakerella has this necklace? She certainly should!